Scientists from the University of Liverpool have released a catchy Christmas jingle video to help young people understand how to avoid catching and spreading colds, stomach bugs and other common infections this winter. The jingle is set to the tune of popular classic, Jingle Bells and features a special appearance from Santa Claus. 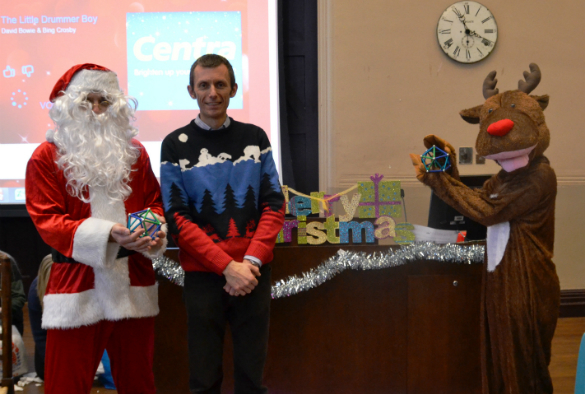 Produced by Dr Alan Radford, with help from staff and students at the University’s Institute of Infection and Global Health and School of Veterinary Science, the jingle was originally created as part of an interactive Christmas science show that he has hosted for the past two years. Dr Radford said: “As a father of young children, I am increasingly interested in the challenges of communicating science and health messages to children.